Learn LEGO SERIOUS PLAY facilitation from award winning facilitators Sean Blair and Marko Rillo. This is your unique opportunity to participate in a truly innovative masterclass and learn from master facilitators. 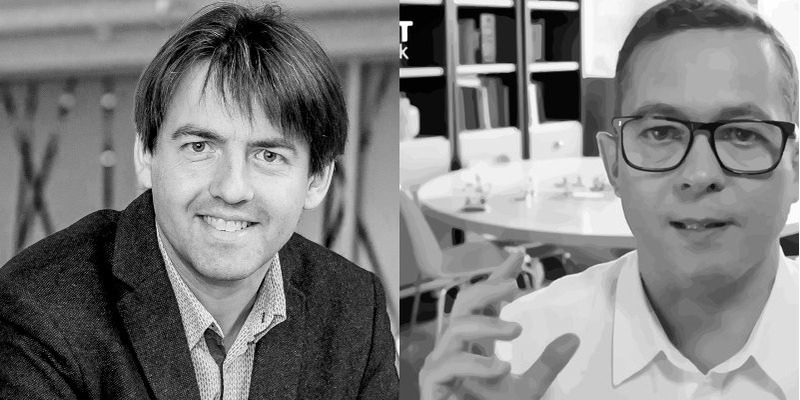 Sean and Marko teamed up two years ago with a group of facilitators from around the world to write so far the only “how to” book on the LEGO® SERIOUS PLAY® methodology called “Serious Work“. Last year Sean and Marko participated in each other’s training events on LEGO® SERIOUS PLAY® methodology to discuss what is lacking in current LEGO® SERIOUS PLAY® training world and how to create the Gold Standard for LEGO® SERIOUS PLAY® training. Now they decided to collaborate and come up with the unique training where you can learn from their combined 30 years of facilitation experience. Why attend this LEGO SERIOUS PLAY training? Become trained in LEGO® SERIOUS PLAY® methodology Level 1 (individual builds) and Level 2 (shared build) skills in a small group of like-minded participants. Receive 2 full days of input and hands-on practice that includes time with real participants – equipping you to use the tool in the real world. Join the growing network of Serious Work facilitators spanning global organizations and freelance practitioners. 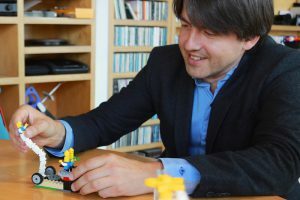 Marko Rillo is one of the most experienced facilitators and trainers on LEGO® SERIOUS PLAY® methodology in the world. Being a founder of SeriousPlayPro community he has been at the heart of sharing LEGO® SERIOUS PLAY® best practices since 2009, also teaming up with Sean in writing the Serious Work book. 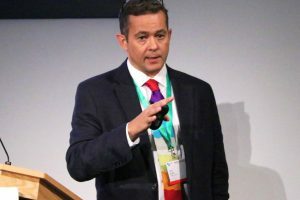 Marko has facilitated innovation, strategy, business modeling, teambuilding and values workshops and training events at Fortune500 firms, global organisations, at FT Top10 universities and helped small startups get their first business ideas to the market. Marko has Ph.D. degree in innovation from the University of St.Gallen, he is ICF accredited executive coach. He is an innovation professor, an avid entrepreneur, a TV show host, public speaker on futurology, disruptive business models and megatrends. Marko has delivered training on LEGO® SERIOUS PLAY® methodology for people working at Bosch, European Commission, Kemira, Nordea, Oxford Said Business School, Puig (Carolina Herrera), SABIC, Salesforce, Samsung, SEB, and many others. Serious Work has expert facilitators train others in LEGO® SERIOUS PLAY® methodology. 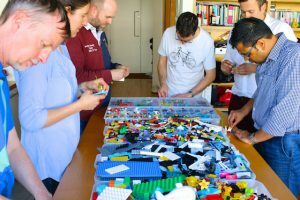 While other trainers primarily offer master-learner path, where the participants are just passive observers how a master facilitates with LEGO® SERIOUS PLAY® methodology, Serious Work offers the chance to practice facilitation from the 1st minute of the masterclass. Our trainers are not full time trainers, but primarily work every day as facilitators. Our trainers are not just 100% focused on just LEGO® SERIOUS PLAY® methodology, but also know well the limitations of LEGO® SERIOUS PLAY® and therefore can suggest the most suitable situations where to use it. Serious Work gathers small, high-quality groups of learners, and equips them with the knowledge and experience they need to use LEGO® SERIOUS PLAY® in their work. Once qualified, our graduates have access to a range of opportunities to grow their skills with like-minded peers.